Personality Politics? assesses the role that voters’ perceptions and evaluations of leaders play in democratic elections. The book presents evidence from an array of countries with diverse historical and institutional contexts, and employs innovative methodologies to determine the importance of leaders in democracies worldwide. Ruth Garland thinks this book is as a useful handbook for all students of political science. Personality Politics? The role of leader evaluations in democratic elections. Marina Costa Lobo & John Curtice. Oxford University Press. 2014. Personality Politics is a well-edited and snappily written and illustrated collection of up-to-date research into the importance of leader evaluations on voter choice in a wide range of liberal democracies, mainly in Europe. Therefore, it provides a range of innovative quantitative methodologies that largely make use of statistical models to examine a range of variables, such as voter sophistication, type of political system, and the nature of the contest. Lauri Karvonen’s thorough, comparative literature reviewencompassing Western liberal democracies since the 1970s, offered a critique of the commonly held view that political leaders play an increasing role in how people see politics and express their political preferences. He found little or no evidence for systematic and sustained increases over time in party leader impacts on electoral behaviour, concluding that “the party leader factor is, by and large, a function of the party factor”. Ana Ines Langer, too, in her examination of media coverage of UK political leaders from 1945, challenged many assumptions of the so-called “personalisation thesis”, arguing that although the idea that political debate has become less rational is “intuitively compelling”, this is based on “nostalgia for a past that never existed”. In fact, she concluded: “parties have an enduring importance in British politics and its media coverage”. It appears that we may be too quick to take media claims about the increasing trivialisation and personalisation of politics at face value. 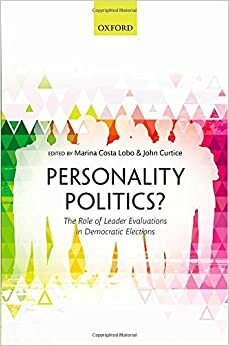 In this collection of 10 studies, Curtice and Costa Lobo simplify the question in order to establish, firstly, whether leader image matters in electoral terms, and secondly, whether, in their evaluations of leaders, voters behave rationally. Their assumption is that if a consistent connection can be found between leadership evaluation and political factors, the role of leaders as signposts that direct voters towards a rational political choice can only be good for democracy. By and large, they conclude, the picture is by no means as disturbing as many commentators fear. In his own chapter, which compares the impact of leaders in parliamentary and presidential regimes in 37 elections in 29 countries, Curtice (with Marco Lisi) found that party identification had “by far the greatest impact on vote choice”. Leader evaluations did matter, especially in majoritarian, two-party systems and where the leaders of larger parties were involved, but were less significant where there were high levels of social cleavage or party identification. From this, they conclude, voters are making strategic use of leadership evaluations where they are most likely to have a political impact. This respectful tone continues in Guillem Rico’s chapter on the role of voter political sophistication and media consumption as factors of personalisation. He examined data from four Spanish election studies in 1982, 1993, 2004 and 2008, and found that, yes, leadership considerations did “regularly and significantly” affect voter evaluations and decisions, but that this applied to both informed and uninformed electorates, giving the lie to the idea that it is unsophisticated voters who are most likely to vote on the basis of judgements about the personality of political leaders. Pulling together the findings from the ten studies in this volume, the authors conclude that there is “very strong support” for the fact that leaders matter, but that “citizens use leaders as cues in situations where it is rational to do so”. Voters derive impressions of their leaders’ character traits from their political positions, rather than vice versa, so that, for example, US conservative politicians are judged on competence, while liberal leaders are judged on character. Voters who are the most politically informed are more likely to use leaders as a cue for political preference. What isn’t addressed in this volume is the role of the media in influencing voter image, which must surely be a key factor worth considering. This is referred to in passing at the end of the chapter by Michael Lewis-Beck and Richard Nadeau which looks at the decisive impact of leadership image on four recent French presidential elections, where they remind us that image, whether politically derived or not, “may be little attached to the truth”. This is probably of more concern to the future of democracy. They are also the only authors to provide a discursive symbolic context to the political case studies, which helps to put flesh on the (admittedly admirable) statistical bones. This book is to be recommended at the very least as a useful handbook for all students of political science. Ruth Garland is a researcher and PhD student in Media & Communications at the London School of Economics, having returned to study after 25 years working in media relations in publishing, broadcasting, public health and local government. She is researching into government communications.